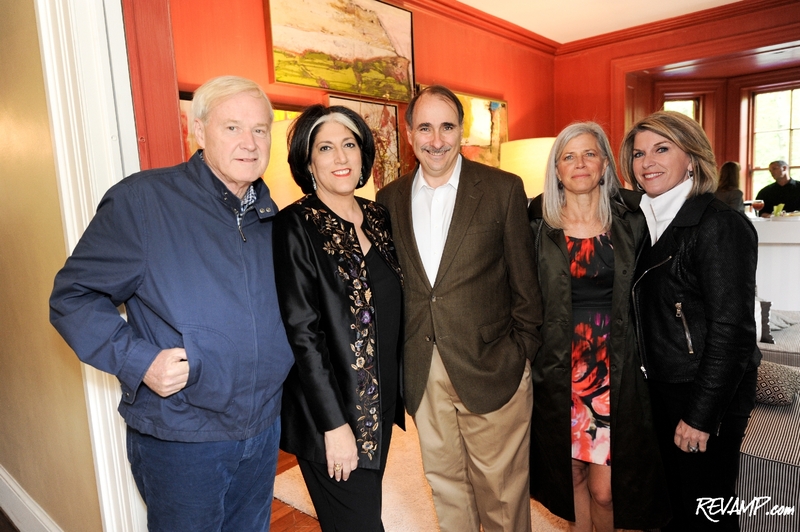 Chris Matthews, Tammy Haddad, David Axelrod, Susan Axelrod, and Kathleen Matthews at the entrance to the Garden Brunch's VIP room. GEORGETOWN -- Before donning their carefully tailored tuxedos and slinky ball gowns for Saturday's White House Correspondents� Association Dinner, Washington�s political powerbrokers were joined by over a hundred of their Hollywood, media, and philanthropically-minded peers, for an exclusive daytime bash at Georgetown�s storied Beall-Washington House. Actress Lindsay Lohan greets Tammy Haddad and Hilary Rosen. It�s perhaps ironic that a spinoff celebration surrounding the dinner has managed to become, in fact, a more exclusive ticket than the main event itself, but Tammy Haddad�s annual Garden Brunch has grown over the years into one of the District�s hottest gatherings of the year. Renee Puente, Matthew Morrison, Chase Crawford, and Joseph Mazzello. Co-hosted by Ted Greenberg, Kevin Sheekey, Hilary Rosen, Clarke Camper, Mark Ein, Alex Castellanos, Anita Dunn, Bill Knapp, David Adler, Steve McMahon, and Franco Nuschese, yesterday�s early afternoon celebration attracted a guest list that could easily rival an official State Dinner. 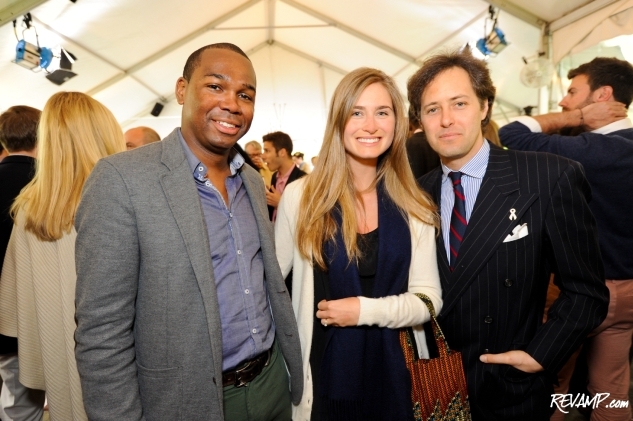 CAA's Darnell Strom, Lauren Bush and David Lauren. Sports Illustrated model Kate Upton walks the red carpet. Among the actors, athletes, and supermodels in attendance, we counted everyone from Lindsay Lohan to Rosario Dawson to Kate Upton to Kate Hudson to Matthew Morrison to Kyle MacLachlan to Woody Harrelson to Elle McPherson to Lauren Bush. 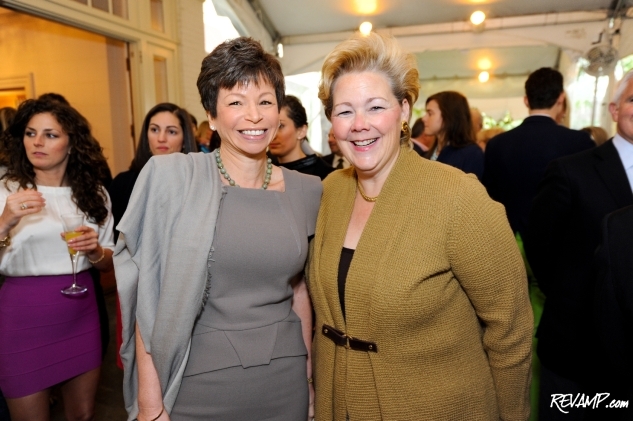 White House Senior Adviser Valerie Jarrett and guest. The full might of the D.C. political establishment was equally on display, with Obama Senior Strategist David Axelrod, White House Senior Adviser Valerie Jarrett, FLOTUS Chief of Staff Tina Tchen, Department of Health and Human Services Secretary Kathleen Sebelius, and Mayor Vincent Gray all present, among dozens of other Congressmen, Ambassadors, and White House and Hill staffers. Georgetown Cupcake founders Katherine Kallinis and Sophie LaMontagne. Both local and international business leaders were also well represented in the crowd, including Huffington Post founder Arianna Huffington, Craig�s List founder Craig Newmark, Siemens CEO Eric Spiegel, and both Georgetown Cupcake founders Katherine Kallinis and Sophie LaMontagne (who helped bake 1,800+ cupcakes for the occasion). Mark Ein and Sally Stiebel at the entrance to Beall-Washington House. 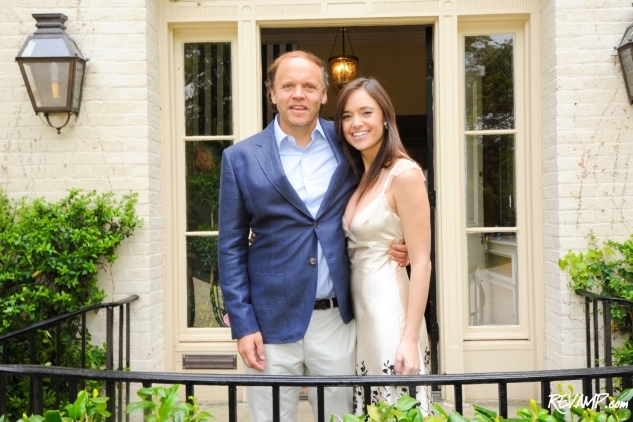 The Garden Brunch returned for a second time this year to Ein�s Beall-Washington House, which provided a storied backdrop for such a high profile occasion, as former Washington Post Publisher Katharine Graham�s old home. 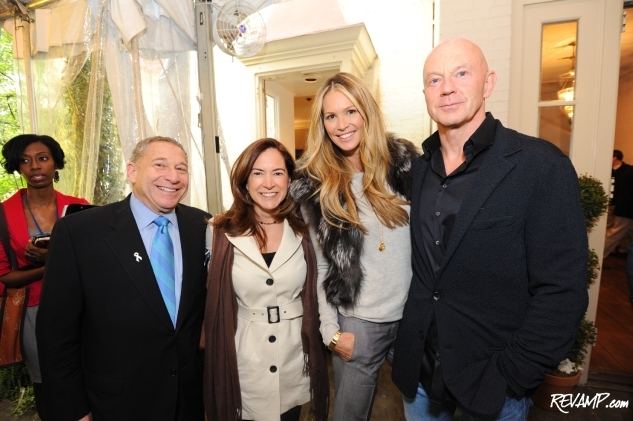 Ted Greenberg and Elle McPherson with guests. In addition to a fun party, the event served double duty as a benefit in support of The White Ribbon Alliance and CURE Epilepsy nonprofit. A truly beneficial brunching with the stars!